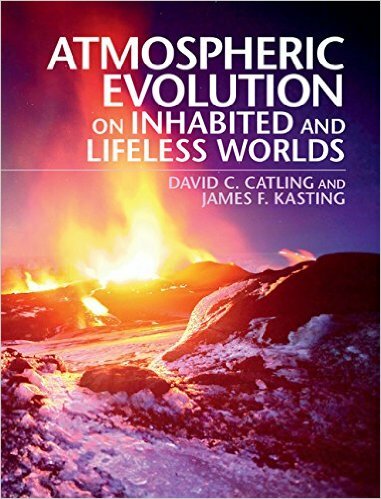 D. C. Catling and J. F. Kasting (2017), Atmospheric Evolution on Inhabited and Lifeless Worlds, Cambridge University Press. "Something in the air: The search for life on distant planets"
A small list of errata for the book is available. 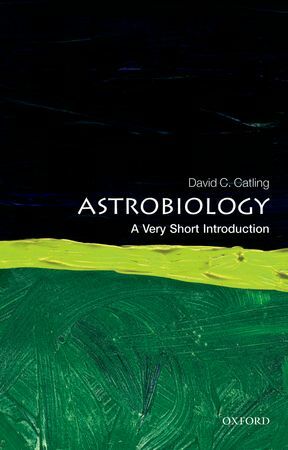 David C. Catling (2013) Astrobiology: A Very Short Introduction, Oxford University Press. Various reviews of the book. Ratings on goodreads. Questions & Answers about astrobiology & the book. Guest blog @Oxford University Press: "Astrobiology: Pouring Cold Asteroid Water on Aristotle"
Reading Guide: Questions for Thought and Discussion for Astrobiology: A Very Short Introduction. This book is about revisiting the landfalls of Charles Darwin's nearly 5-year voyage around the world (1831-1836), which he eloquently describes in The Voyage of the Beagle (1839). Following Darwin's footsteps has been my hobby for over 15 years, and Darwin himself has been a great guide through vivid descriptions of biology, anthropology, and geology in his 1839 travelogue. Darwin traveled as a young man only in his twenties, and his innate brilliance at observing the world continues to amaze me. The book is a personal view of what has changed between then and now in the places that Darwin visited from scientific, human, and environmental perspectives. 143. D. C. Catling & K. J. Zahnle. The Archean Atmosphere (review), Science Advances, submitted, 2019. The Archean eon from 4 billion to 2.5 billion years ago is one-third of the history of the Earth. We review what the Archean atmosphere was made of. In this paper, we show how ancient atmospheric concentrations of methane and hydrogen are related to how heavy and light xenon atoms were separated when hydrogen escaped rapidly into space from Earth's oxygen-free atmosphere before 2.4 billion years ago. Xenon isotopes dissolved in tiny inclusions of ancient seawater trapped inside old rocks show that hydrogen escaped from the ancient Earth at very rapid rates. These xenon data support a theory of Catling et al. (2001, Science) that substantial loss of hydrogen (a reducing agent) must have greatly oxidized the Earth, priming the Earth for a tipping point for a big increase of oxygen in Earth's atmosphere around 2.4 billion years ago. The cold, dry, and ultraviolet-irradiated surface of Mars is hostile to life. But if microbial life exists below the surface of Mars today, atmospheric carbon monoxide (CO) and hydrogen (H2) could be used for metabolism in reactions such as 2CO + O2 = 2CO2 or 2H2 + O2 = 2H2O. However, atmospheric CO is relatively abundant at 747+/-3 parts per million by volume (ppmv) while the abundance of H2 is ~15 ppmv (compared to 0.1 ppmv CO and 0.5 pmv H2 in Earth's much thicker atmosphere). Because these quantities of gas on Mars remain "uneaten", we can set an upper limit on the biomass that could be below Mars's surface and connected to the atmosphere through porous rock and soil. We show that this biomass limit is ≲1027 cells, which is ≤10-4-10-5 of Earth’s biomass, or equivalent to ~1 million blue whales. 139. X. Chen, F. Z. Teng, D. C. Catling, Fast and precise boron isotopic analysis of carbonates and seawater using multi-collector inductively coupled plasma mass spectrometry, Rapid Communications in Mass Spectrometry, in press, 2019. 140. E. Gillen, P. B. Rimmer, D. C. Catling. Statistical analysis shows no evidence for a strong seasonal cycle of methane on Mars from Curiosity Rover data, Icarus, in revision, 2019. In 2018, in Science, it was reported that data from NASA's Curiosity Rover showed "strong seasonal variation" of tiny amounts of methane in the martian atmosphere. We show that statistics does not favor seasonal variation over (non-periodic) stochastic variation or a large spread of other periods. The 10 data points with their error bars are too sparse to be constraining. 138. M. D. Day & D. C. Catling. Potential aeolian deposition of intra-crater layering: A case study of Henry crater, Mars, GSA Bulletin, revised version submitted, 2019. 137. J. D. Toner & D. C. Catling, Environmental settings for a cyanide origin of life, submitted, 2019. 136. J. D. Toner, D. C. Catling, R. S. Sletten, Widespread active formation of calcium perchlorate groundwater on Mars, in review, 2019. 135. S. Kadoya, & D. C. Catling. Constraints on hydrogen levels in the Archean atmosphere based on detrital magnetite, Geochimica Cosmochimica Acta, submitted in 2018. 134. S. Kadoya, D. C. Catling, R. W. Nicklas, I. Puchtel, A. D. Anbar. A mantle redox trigger for the Great Oxidation Event, fully drafted, 2019. 133. J. D. Toner & D. C. Catling. Seawater freezing and evaporation with a new model, ColdChem, drafted, 2018. 132. D. C. Catling & J. Krissansen-Totton. General models for global redox controls on atmospheric O2, CH4, and N2 levels over Earth history, in prep., 2018. 131. D. C. Catling, C. B. Leovy, S. E. Wood, M. D. Day. Does the Vastitas Borealis Formation, Mars, contain oceanic or volcanic deposits? : Subsurface sampling using small craters, in prep. 130. E. A. Goosmann, C. Luskin, D. C. Catling, R. Buick, N. Nhleko. Vesicular paleobarometry in the Pongola Supergroup: A cautionary note and guidelines for future studies, drafted. 129. S. F. Sholes, D. R. Montgomery, D. C. Catling, Quantitative high-resolution re-examination of a hypothesized ocean shoreline in Cydonia Mensae, Mars, Journal of Geophysical Research-Planets, 124, 316– 336 doi.org/10.1029/2018JE005837, 2019. 128. L. O'Neil, D. C. Catling, W. T. Elam, Optimized Compton fitting and modeling for light element determination in micro-X-ray fluorescence map datasets, Nuclear Inst. and Methods in Physics Research B, 436, 173-178, 2018. https://doi.org/10.1016/j.nimb.2018.09.023. This paper concerns preliminary work for an x-ray instrument that is being carried on NASA's Mars 2020 rover. 126. J. Krissansen-Totton, R. Garland, P. Irwin & D. C. Catling. Detectability of biosignatures in anoxic atmospheres with the James Webb Space Telescope: A TRAPPIST-1e case study, Astronomical Journal, 156, 114. 2018. https://doi.org/10.3847/1538-3881/aad564. Also: see a BBC News story about this paper. We showed that biosignature gases in an anoxic atmosphere on an exoplanet analogous to the early Earth could be detected using transmission spectroscopy from NASA’s James Webb Space Telescope. 123. M. D. Day & D. C. Catling. Dune casts preserved by partial burial: The first identification of "ghost dunes" on Mars, Journal of Geophysical Research, 123, https://doi.org/10.1029/2018JE005613, 2018. 122. O. R. Lehmer, D. C. Catling, T. M. Hoehler, M. N. Parenteau, The productivity of oxygenic photosynthesis around cool M dwarf stars, Astrophysical Journal 859, 171, 2018. We showed that the photosynthesis on inhabited planets around small red dwarf stars would be light-limited and so may not be sufficient to build up detectable levels of oxygen, even accounting for possible biological adaptation to near-infrared-shifted stellar spectra. Using a new empirically-constrained carbon cycle model of the Earth, we showed that the carbonate-silicate cycle moderated the climate of the early Earth, keeping Earth habitable, and maintaining the ocean pH to within a unit of neutral. We showed that the atmosphere of a planet like the early Earth would have a chemical disequilibrium characteristic of the early biosphere between nitrogen, carbon dioxide, methane and water, and that carbon at each end of the redox spectrum (as CO2 and CH4) forms a detectable combinational biosignature for anoxic planetary atmospheres. We set out a generalized framework of Bayesian statistics to assess remotely detected biosignatures in the future from exoplanets, so that probability of the detection of life can be quantified and expressed both scientifically and to the public. 118. S. V. Berdyugina, Kuhn, J.R., Langlois, M., Moretto, G., Krissansen-Totton, J., Grenfell, L., Catling, D., Santl-Temkiv, T., Finster, K., Tarter, J., Shostak, S., Marchis, F., Hargitai, H., Apai, D.: The Exo-Life Finder (ELF) Telescope: New Strategies for Exoplanet Direct Detection, Biosignatures and Technosignatures, Proc. SPIE 10700, Ground-based and Airborne Telescopes VII, 107004I, doi:10.1117/12.2313781, 2018. This paper describes a ground-based telescope with an equivalent resolving power of >20 m diameter that could detect atmospheric biosignatures on exoplanets around nearby stars. 115. J. Krissansen-Totton & D. C. Catling. The search for another Earth-like planet and life elsewhere. In What is Life? On Earth and Beyond. (Ed. A. Losch), Cambridge Univ. Press, 30-56, 2017. [E-print]. A presentation called "The Cosmic Shoreline" describing this topic was submitted to the 2013 Lunar & Planetary Science Conference, along with a companion presentation on impact erosion of atmospheres. 109. O. R. Lehmer, D. C. Catling, K. J. Zahnle, The longevity of water ice on Ganymedes and Europas around migrated giant planets, Astrophysical Journal, 839, 32, 2017. 108. J. Krissansen-Totton & D. C. Catling. Constraining climate sensitivity and continental versus seafloor weathering with an inverse geological carbon cycle model, Nature Communications, 8, 15423, doi:10.1038/ncomms15423, 2017. [Open Access Paper]. [E-print]. Associated University of Washington new story here. -- Because the authors believe in transparency and the motto of the AGU, "unselfish cooperation in research," the Python source code for the new carbon cycle model used in this paper is available here. -- In this paper, we examined indicators in the rocks of past temperatures, atmospheric CO2 levels, and other environmental quantities, going back 100 million years ago, when dinosaurs roamed ice-free polar regions. We found that the Earth has much poorer natural "thermostat” from rock weathering (which removes CO2) than previously thought and allows fairly big swings in temperature. Also, the data indicate that global temperatures eventually go up 5-6 C for CO2 doublings, which is about twice the 3 C that's projected over centuries for global warming. Having tested this analysis on a fairly data-rich period of Earth history, similar analysis can now be applied with more confidence to understand the climate of the early Earth when life was just starting or the habitability of Earth-like exoplanets. 105. B. L. Ehlmann, F. S. Anderson, J. Andrews-Hanna, D. C. Catling, et al. The sustainability of habitability on terrestrial planets: Insights, questions, and needed measurements from Mars for understanding the evolution of Earth-like worlds, Journal of Geophysical Research-Planets, doi:10.1002/2016JE005134, 2016. [Open Access Paper]. 104. R. C. Payne, A. V. Britt, H. Chen, J. F. Kasting, D. C. Catling. The response of Phanerozoic surface temperature to variations in atmospheric oxygen concentration, J. Geophys. Res. Atmos. 121, doi:10.1002/2016JD025459 , 2016. 103. S. M. Som, R. Buick, J. W. Hagadorn, T. S. Blake, J. M. Perreault, J. P. Harnmeijer, D. C. Catling. Earth's air pressure 2.7 billion years ago constrained to less than half of modern levels, Nature Geoscience, doi:10.1038/ngeo2713, 2016. [E-print]. We present measurements suggesting the surprising discovery that the Earth's atmosphere was thinner than today's air by a factor of two or more. See a university news release or news commentary at Science magazine; also a clip from BBC World Service radio of Roger Buick talking about the discovery. 101. J. Krissansen-Totton, D. Bergsman, D. C. Catling, On detecting biospheres from chemical disequilibrium in planetary atmospheres, Astrobiology 16, 39-67, 2016. Please be sure to read the ReadMe.txt file and all comments to use the code. A great discussion of this paper appeared in a BBC Sky At Night magazine piece. 100. J. Krissansen-Totton, E. Schwieterman, B. Charnay, G. Arney, T. D. Robinson, V. Meadows, D. C. Catling, Is the Pale Blue Dot unique? Optimized photometric bands for identifying Earth-like planets, Astrophysical Journal, 817, 31, 2016. [E-print]. A nice summary of this paper was blogged in astrobites. 99. J. D. Toner & D. C. Catling, Water activities of NaClO4, Ca(ClO4)2 and Mg(ClO4)2 brines from experimental heat capacities: Water activity >0.6 below 200 K, Geochimica Cosmochimica Acta, 181, 164-174, 2016. [E-print]. 98. P. Pogge von Strandmann, E. E. Stüeken, T. Elliott, S. W. Poulton, C. M. Dehler, D. E. Canfield, D. C. Catling. Selenium isotope evidence for post-glacial oxygenation trends in the Ediacaran ocean, Nature Communications, 6:10157, doi: 10.1038/ncomes10157, 2015. [Open Access Paper]. A nice discussion of this paper was blogged on Centauri Dreams. 97. J. D. Toner, D. C. Catling, B. Light, A revised Pitzer model for low-temperature soluble salt assemblages at the Phoenix site, Mars. Geochimica Cosmochimica Acta, 166, 327-343, 2015. [E-print]. 96. D. C. Catling, Planetary Atmospheres. In G. Schubert (ed. ), Treatise on Geophysics (2nd Ed. ), vol. 10, Elsevier, New York, 429-472, 2015. [E-print]. Reviews essentials of planetary atmospheres--mainly physics with some chemistry. For complete transparency and to encourage cooperation in research, the isotope data and computer source code used in this paper are freely available here. 94. J. D. Toner, D. C. Catling, B. Light, Modeling salt precipitation from brines on Mars evaporation versus freezing origin for soil salts, Icarus, 250, 451-461, 2015. doi:10.1016/j.icarus.2014.12.013. [E-print]. We show that salts found in the soil at the landing site of NASA's Phoenix Mars lander were not formed by evaporation of an aqueous salty solution but could have formed as a salty liquid froze. In freezing, a salty solution becomes more and more concentrated as ice forms, and certain types of salts precipitate, producing a chemical mixture diagnostic of an origin by freezing. Thus, the chemistry constrains the past environment, which was cold. 93. E. E. Stüeken, R. Buick, A. Bekker, D. Catling, J. Foriel, B. M. Guy, J. C. Kah, H. G. Macel, K. P. Montanez, S. W. Poulton, The evolution of the global selenium cycle: Secular trends in Se isotopes and abundances, Geochimica Cosmochimica Acta, 162, 109-125. 91. D. C. Catling. Mars Atmosphere: History and Surface Interactions. In: T. Spohn, D. Breuerm, T. V. Johnson (Eds. ), Encyclopedia of the Solar System (3rd Edition), Elsevier, 343-357, 2014. [ E-print ]. [This book won the 2015 American Publishers Award for Professional and Scholarly Excellence (PROSE) in the Cosmology & Astronomy category]. 90. G. M. Marion, D. C. Catling, J. S. Kargel, J. I. Lunine, Modeling nitrogen-gas, -liquid, -solid chemistries at low temperature (173-298 K), Icarus 236, 1-8, 2014. 89. D. C. Catling, The Great Oxidation Event Transition, In Treatise on Geochemistry (2nd. Ed. ), edited by H. D. Holland and K. K. Turekian, vol. 6, Elsevier, Oxford, 177-195, 2014. http://dx.doi.org/10.1016/B978-0-08-095975-7.01307-3 [E-print]. 88. J. D. Toner, D. C. Catling, B. Light, Reanalysis of Wet Chemistry Laboratory data at the Phoenix Lander site on Mars with implications for the soluble soil salts, Geochim. Cosmochim. Acta, doi:10.1016/j.gca.2014.03.030, 142-168, 2014. [E-print]. Using a photochemical simulation, we calculate deposition fluxes of salts formed in the ancient martian atmosphere by oxidation of volcanic gases. The resulting sulfate soil concentrations are consistent with observations. Results also show that pernitric acid forms predominantly in Mars' atmosphere rather than nitric acid. Purely gas-phase reactions are insufficient to account for perchlorate in the soil so that gas-solid reactions (which are currently unknown) are implied. 86. T. D. Robinson & D. C. Catling, Common 0.1 bar tropopause in thick atmospheres set by pressure-dependent infrared transparency, Nature Geoscience, 7, 12-15, 2014. doi:10.1038/NGEO2020 [E-print]. The minimum air temperature between the troposphere (the lowest atmospheric layer where temperature declines with altitude) and stratosphere (where temperature increases with altitude in an 'inversion') occurs a pressure of about 0.1 bar on Earth, Titan, Jupiter, Saturn, Uranus and Neptune. We used the physics of radiation to explain why the tropopause temperature minimum in these very different atmospheres occurs at the comåmon pressure near 0.1 bar. Physics suggests that a tropopause temperature minimum around 0.1 bar should be a fairly general rule for planets with stratospheric temperature inversions. This rule could constrain the atmospheric structure on exoplanets and hence their surface temperature and habitability. Accompanying Univ. of Washington news story. Also a nice summary of the paper was blogged in astrobites. And a layperson's summary is given by us: D. C. Catling & T. D. Robinson "Why the tropopause temperature minimum occurs at a common pressure near 0.1 bar in thick atmospheres of planets and moons"
85. J. D. Toner, D. C. Catling, B. Light, The formation of supercooled brines, viscous liquids, and low-temperature glasses on Mars, Icarus 233, 36-47, 2014, doi:10.1016/j.icarus.2014.01.018. [E-print]. We report a discovery that perchlorate salts tend not to crystallize if cooled even at relatively slow rates but become gradually more viscous and turn into glass (amorphous, non-crystalline solids). Glasses are great for preserving microorganisms, so this is relevant for looking for signs of microbial life on Mars and other cold bodies. 83. K. J. Zahnle & D. C. Catling, Waiting for oxygen, in Special Paper 504: Earth's Early Atmosphere and Surface Environment (Shaw, G. H., ed. ), Geological Society of America Conference Proceedings, 2014, 37-48. [E-print]. 82. Marion, G. M., Kargel, J. S., Crowley, J. K., Catling, D. C., Sulfite-sulfide-sulfate- carbonate equilibria with applications to Mars, Icarus, 225, 342-351, 2013. [E-print]. 81. S. M. Som, J. W. Hagadorn, W. A. Thelen, A. R. Gillespie, D. C. Catling, R. Buick, Quantitative discrimination between geological materials with low density contrast by high resolution X-ray computer tomography: An example using amygdule size-distribution in ancient lava flows, Computers & Geosciences, 54, 231-238, 2013, doi: 10.1016/j.cageo.2012.11.019 .[E-print]. 80. P. B. Niles, D. C. Catling, G. Berger, E. Chassefiere, B. L. Ehlmann, J. Michalski, R, Morris, S. W. Ruff, B. Sutter, Carbonates on Mars, Space Science Reviews, 174, 301-328, 2013. [E-print]. 79. B. L. Ehlmann, G. Berger, N. Mangold, J. R. Michalski, D. C. Catling, S. W. Ruff, Eric Chassefière, P. B. Niles, V. Chevrier, F. Poulet, Geochemical consequences of widespread clay mineral formation in Mars' ancient crust, Space Science Reviews, 174, 329-364, 2013. 78. E. E. Stüeken, J. Foriel, B. K. Nelson, R. Buick, D. C. Catling. Selenium isotope analysis of organic-rich shales: Advances in sample preparation and isobaric interference correction, J. Analytical Atomic Spectroscopy, doi:10.1039/C3JA50186H, 2013. 76. D. C. Catling. How long will the Earth remain habitable? Sky & Telescope Special Edition: Astronomy's 60 Greatest Mysteries, 2013, p.16-17. 73. J. F. Kasting, D. C. Catling, K. J. Zahnle, Atmospheric oxygenation and volcanism, Nature 487, E1, 2012. - We use fossil raindrop impressions in 2.7 billion-year-old rocks made of volcanic ash to determine an upper limit on the air density and hence the barometric pressure at that time. The method use calibration experiments of drops falling into modern, comparable ash. This is the first time constraints on the barometric pressure on the early Earth have been made using direct physical geology. Air pressure was probably less than ~50-110% of today's value. (University of Washington Press Release ). 68. D. Schulze-Makuch et al. (inc. D. C. Catling). A two-tiered approach to assessing the habitability of exoplanets, Astrobiology, 11, doi:10.1089/ast.2010.0592, 2011. - In the future, thousands of exoplanets will be known, so how will we judge whether they might be habitable from basic astronomical parameters? This paper presents some metrics and considerations of what makes a planet habitable. 65. K. J. Zahnle, R. S. Freedman, D. C. Catling. Is there methane on Mars?, Icarus, doi:10.1016/j.icarus.2010.11.027, 2011. 64. P. Withers. D. C. Catling. Observations of atmospheric tides on Mars at the season and latitude of the Phoenix atmospheric entry, Geophysical Research Letters, 37, L24204, doi:10.1029/2010GL045382, 2010. - We show that the net effect of volcanic sulfur gases on early Mars was to cool the planet because of the formation of reflective sulfate aerosols. That this is so should be intuitive because sulfate aerosols cool Earth and Venus by reflecting sunlight. However, papers previously published by others had argued that SO2 gas would keep early Mars "warm and wet". Although SO2 is a greenhouse gas, prior studies did not account for the larger cooling effect of sulfate aerosols. C. P. McKay, D. W. Ming, P. H. Smith, L. K. Tamppari, A. P. Zent, Discovery of natural perchlorate in the Antarctic Dry Valleys and its global implications, Environmental Science and Technology, DOI: 10.1021/es9033606, 2010. - The first detection of perchlorate (ClO4-) salts in the Antarctic Dry Valleys. - The first photochemical model to calculate fluxes of atmospheric salts that bulit up the salt deposits (nitrate and perchlorate) in the Atacama desert of Chile. Also, we discuss chemical pathways to form perchlorate on Mars. 58. S. P. Kounaves et al. (incl. D. C. Catling), The wet chemistry experiments on the 2007 Phoenix Mars Scout Lander Mission: Data analysis and results, J. Geophys. Res., 115, E00E10, doi:10.1029/2009JE003424, 2010. - The first direct measurement of soluble soil salts on Mars made by adding soil on Mars to water and measuring anions and cations with ion selective electrodes. A paper predicting that a subpolar lake under one or both of the polar caps of Mars might be possible as a result of low-temperature perchlorate brines. 56. C. Stoker, A. Zent, D. C. Catling et al., Habitability of the Phoenix Landing Site, J. Geophys. Res., 115, E00E20, 2010. doi:10.1029/2009JE003421. 55. Renno, N. O., B. J. Boss, D. Catling, et al., Possible physical and thermodynamical evidence for liquid water at the Phoenix landing site, J. Geophys. Res., 114, E00E03, doi:10.1029/2009JE003362, 2009. 54. Smith, P. H., L. Tamppari, R. E. D. Arvidson, D. S. Bass, D. Blaney, W. V. Boynton, A. Carswell, D. C. Catling et al., H2O at the Phoenix landing site, Science, 325, 58-61, 2009. 53. M. H. Hecht et al. (incl. D. C. Catling), Detection of perchlorate and soluble chemistry of martian soil: Findings from the Phoenix Mars Lander, Science, 325, 64-67, 2009. 52. W. V. Boynton et al. (incl. D. C. Catling), Evidence for calcium carbonate at the Phoenix landing site, Science, 325, 61-64, 2009. 50. G. M. Marion, J. S. Kargel and D. C. Catling. Br/Cl partitioning in chloride minerals in the Burns Formation on Mars, Icarus, 200, 436-445, 2009. 47. Smith, P. H., L. Tamppari, R. E. D. Arvidson, D. S. Bass, D. Blaney, W. V. Boynton, A. Carswell, D. C. Catling et al., The Phoenix mission to Mars, J. Geophys. Res., 13, E00A18, doi:10.1029/2008JE003083. Describes the first space probe to successfully land in the "arctic" equivalent of the planet Mars. A 1D numerical photochemical model is used to study the atmospheric photochemistry of oxygen, methane, and sulphur after the advent of oxygenic photosynthesis. We show that collapse of atmospheric methane in the early Proterozoic aeon to levels of ~10s of ppmv provides the best explanation of the disappearance of mass-independent fractionation in sulphur isotopes. Here we present analytical and numerical computations for how the Earth's early atmosphere transitioned to an O2-rich state about 2.4. billion years ago. Understanding this transition is important for life on Earth because the rise of O2 allowed a stratospheric ozone layer to develop and allowed a greater variety of oxygen-dependent eukaryotic life. 33. Mix, L., et al., The astrobiology primer: An outline of general knowledge - Version 1, 2006. Astrobiology 6, 735-813, 2006. 32. Marion G. M., Catling D. C., Kargel J. S., Modeling gas hydrate equilibria in electrolyte solutions. CALPHAD - Computer Coupling of Phase Diagrams and Thermochemistry, 30, 248-259, 2006. 31. G. T. Delory, W. M. Farrell, S. Atreya, N. O. Renno, A-S. Wong, S. A. Cummer, D. D. Sentman, J. R. Marshall, S. C. R. Rafkin and D. C. Catling, Oxidant enhancement in Martian dust devils and storms: Storm electric fields and electron dissociative attachment. Astrobiology 6, 453-454, 2006. 30. S. K. Atreya, A-S Wong, N. O. Renno, W. M. Farrell, G. T. Delory, D. D. Sentman, S. A. Cummer, J. R. Marshall, S. C. R. Rafkin, D. C. Catling, Oxidant enhancement in Martian dust devils and storms: Implications for life and habitability, Astrobiology, 6, 439-450, 2006. 29. D.C. Catling, Comment on "A Hydrogen-rich Early Earth Atmosphere". Science 311, 38a, 2006. Here I commented on a paper by Tian et al., noting that Earth's early thermosphere, under the high extreme ultraviolet flux of the early Sun, would have been hot enough for hydrogen to escape readily so that hydrogen would not accumulate to high abundance. My back-of-envelope calculations are supported by independent detailed calculations of early Earth's thermosphere by Kulikov et al. (2006) Space Sci. Rev., submitted. This paper discusses the origin of enigmatic sulfate deposits, as large as mountains, in a deep chasm on Mars. Using spacecraft data, we made a new geomorphic map of Juventae Chasma and the deposits in its interior. A review of the how the level of molecular oxygen (O2) in the Earth's atmosphere has changed over the last 4 billion years and what caused the changes, to the best of our knowledge. Invited commentary on the results of the Mars Exploration Rovers. 24. D. W. Beaty, S. M. Clifford, L. E. Borg, D. Catling et al., Key science questions from the Second Conference on Early Mars: Geologic, hydrologic, climate evolution, and the implications for life, Astrobiology , 5, 663-689, 2005. 23. D. C. Catling, C.R. Glein, K.J. Zahnle, and C. P. McKay. Why O2 is required by complex life on habitable planets and the concept of planetary "oxygenation time", Astrobiology, 5, 415-438, 2005. [E-print] Commentary on this paper by Norm Sleep. We explain how O2 provides the highest feasible energy release per electron transfer for carbon-based life, a universal property set by the limits of the periodic table. We also calculate theoretical biomass spectra for anaerobic (non-O2-using) life, which shows why such life does not grow large and complex. The upshot is that the evolution of water-splitting metabolism (photosynthesis) and subsequent atmospheric evolution are the important factors for determining the distribution of complex life on planets elsewhere in our galaxy and in the universe. See also "Why E.T. would also breathe oxygen", Forbes Magazine. Of solar system planets with atmospheres, the Earth is the sunniest in terms of flux reaching its surface. Earth also has an anomalous atmosphere, chemically and dynamically. The chemistry is in a low entropy state, pushed far from thermodynamic equilibrium by surface gas fluxes. Dynamically, the Earth has the most unpredictable weather (e.g., compare Jupiter's Great Red Spot) and the slowest jets. In this paper, I discuss how life and entropy production have roles in producing Earth's weird atmosphere, which in turn allows life to flourish. 21. G. M. Marion, J. S. Kargel, D. C. Catling, S. D. Jakubowski. Effects of pressure on aqueous chemical equilibria at subzero temperatures with applications to Europa, Geochim. Cosmochim. Acta 69, 259-274, 2005. A "News and Views" piece that gives recent thinking on Martian hematite concretions (nicknamed "blueberries") that were discovered by the Opportunity Mars rover. The write-up discusses similar (but different!) phenomena on Earth, in Utah. In these field experiments we found that electric fields associated with dust devils exceeded 4 kV/m compared to a fair weather field of 70 V/m. On Mars, it is possible that electic fields approach the breakdown field strength for carbon dioxide. This dust devil work was motived by a National Research Council 2002 report entitled Safe on Mars: Precursor Measurements Necessary to Support Human Operations on the Martian Surface. Here, we presented a quantitative model of the rise of oxygen around 2.4 billion years ago. We showed how the rise of O2 occurred when the flux of organic carbon burial (which is the source of O2) exceeded the geothermal flux of reductants (such as reduced volcanic and metamorphic gases that react with oxygen, as well as hydrothermal cations such as ferrous iron). We also showed that as O2 rises, ultraviolet shielding of the troposphere by ozone causes a positive feedback on the increase in atmospheric oxygen. See the subsequent paper by Claire et al. (2006) for full details. In this paper, we review why Earth's climate has remained conducive to life on Earth for the past 3.5 billion years. Gray, crystalline hematite is a mineral that has been found in certain locations on Mars, in particular at the landing site of the NASA Mars Exploration Rover called "Opportunity" that landed in 2004. In this paper, before we knew about the Opportunity findings, we discussed the possible environments in which gray hematite might have formed on Mars. In this conference paper, we presented an idea -- completely new at the time -- that methane could have been at high levels (10s or 100s of ppmv) during the middle Proterozoic. We argued that CH4 could have still been an important greenhouse gas if there had been a large (biogenic) CH4 flux from the large areas of anoxic seafloor in the Proterozoic. We also noted how this could drive a second rise of atmospheric O2 in the Neoproterozoic because of decomposition of methane in the upper atmosphere and associated hydrogen escape to space. Finally, we noted that a lot of sedimentary sulfide should have been subducted in the Proterozoic (because of large areas of euxinia), which would also oxidize the surface environment over time. 12. M. R. Patel, J. C. Zarnecki, and D. C. Catling, Ultraviolet radiation on the surface of Mars and the Beagle 2 ultraviolet sensor, Planetary and Space Science, 2, 569, 2002. In this paper, we advanced a theory to answer the question of why the Earth's atmosphere became oxygen-rich about 2.4-2.2 billion years ago. This transition was an important event in Earth's history because all complex life forms (animals and multicellular plants) rely on molecular oxygen (O2). Consequently, understanding the rise of oxygen is critical for understanding biological evolution on our planet. There were several discussions in the media of this research article. I like the following summary: "How Oxygen Came to our Atmosphere and What That Could Tell us About Other Worlds"
View a 50 min seminar on this subject: The Rise of Oxygen, by David Catling (RealPlayer) given at the New York Center for Studies on the Origins of Life in 2001. 5. C. S. Cockell, D. C. Catling and H. F. Waites. Insects at low-pressures: Applications to artificial ecosystems and implications for global windborne distribution, Life Support and Biosphere Sci., 6, 161-167, 1999. This article was about a concept that Bob Haberle and I came up with for measuring the global climate system on Mars using a network of miniature, automated weather stations. Later, along with other scientists and engineers, we developed a detailed NASA mission concept called "Pascal" to do this. Pascal is yet to fly, but such a mission will be an essential precursor for a future human mission. 1. M. M. Joshi, S. R. Lewis, P. L. Read and D. C. Catling. Western boundary currents in the atmosphere of Mars, Nature, 367, 548-551, 1994.